Congratulations to you and the whole family. Fantastic news for all four of you. Congrats mate to you and the family. Wishing your wife a speedy recovery as well. Wishing Mrs Lerenau a speedy recovery! Don’t forget your in charge of changing the nappies. Congratulations mate - another addition to the P&C Canberra Meet Ups! Wishing the family all the best. 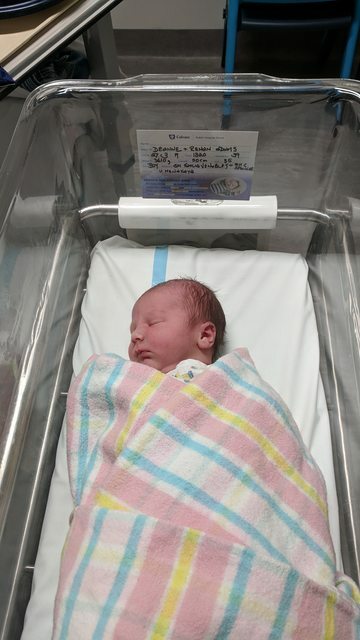 Congratulations @lerenau and family on the birth of your sweet baby boy. Hoping a speedy recover for Mrs @lerenau. Lol a keeper, well it ain't going back is it. Very funny sir. Yeah you made me have flashbacks. Oh and that smell hard days ahead. Took my lovely daughter to two meetups and the guys were awesome. Help me carry the sleeping child upstairs in the pram and laugh along with her cries. It is great to have real blokes around. But the cuddles afterwards are worth it. Great news! Congratulations and best wishes to Mr & Mrs Lerenau and family!